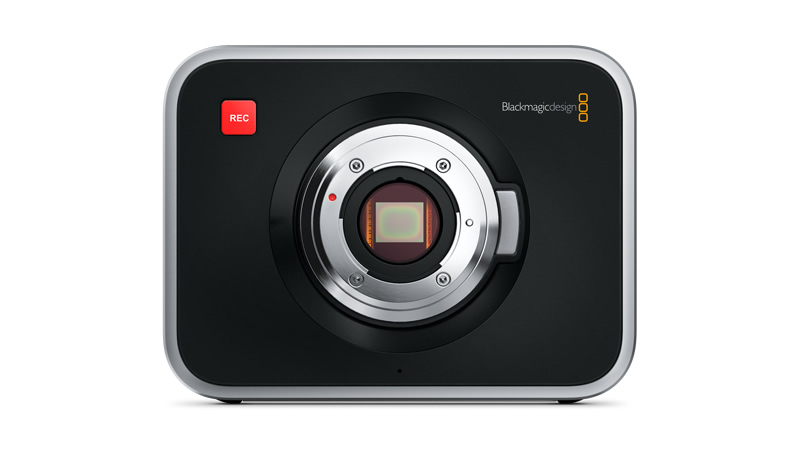 Blackmagic Cinema Camera (2.5K sensor) EF and MFT models will be reduced in price to US $1,995. Orders placed that have not yet been filled can be reduced to the new lower price. 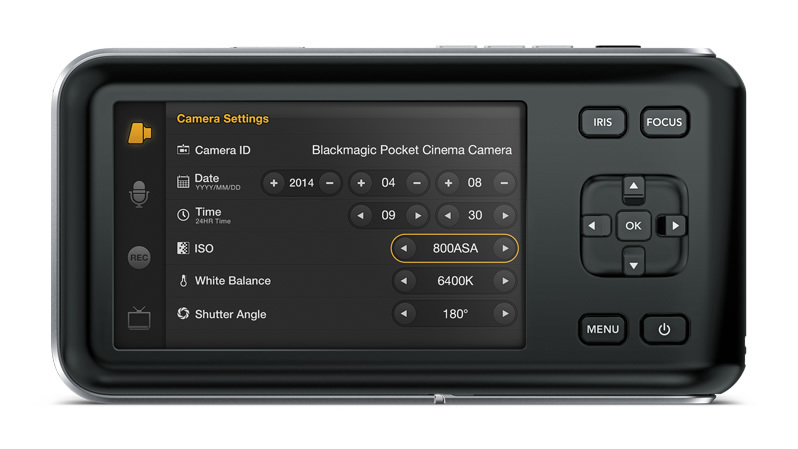 The Blackmagic Cinema Camera includes an SSD recorder, rechargeable battery, and a large 5” LCD touchscreen for monitoring, metadata entry, camera settings and focus. Available in either EF (Canon) or MFT (Micro Four Thirds) lens mount models. 13 stops of dynamic range. Raw recording is uncompressed 12 bit CinemaDNG RAW. No custom connectors. Standard jack mic/line audio in, BNC 3 Gb/s SDI out, headphone, high speed Thunderbolt I/O technology, LANC remote control and standard DC 12-30V power connection. 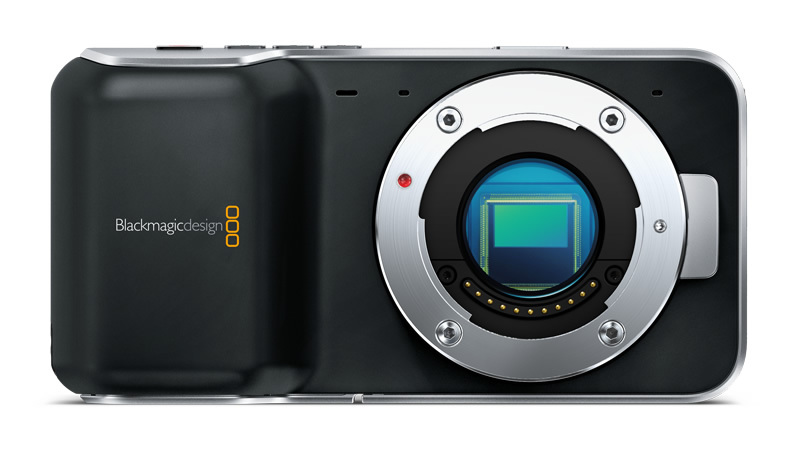 The new Blackmagic Pocket Cinema Camera is now shipping, and there is a software update for it posted on the Blackmagic Design website support page. You can now focus by pushing the focus button when using an active MFT lens. The focus peaking feature is still there, and you enable it by double pressing the focus button. The focus zoom feature is enabled by double pressing the OK button. 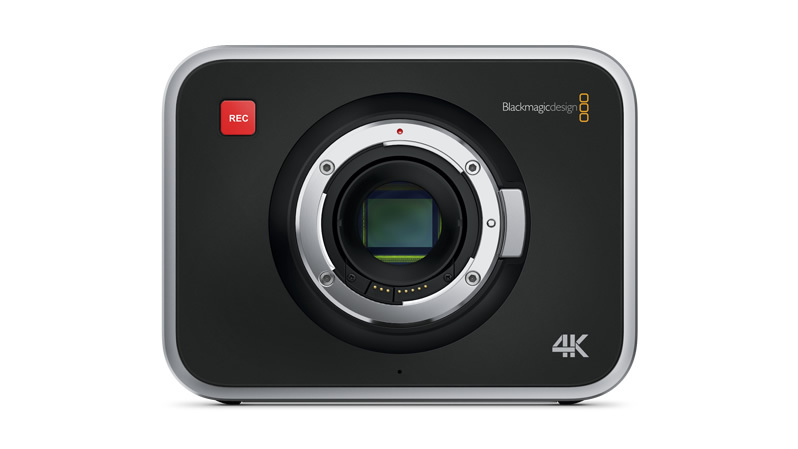 The Blackmagic Production Camera 4K is not yet shipping. We learned that the first batch of sensors were delivered this week. 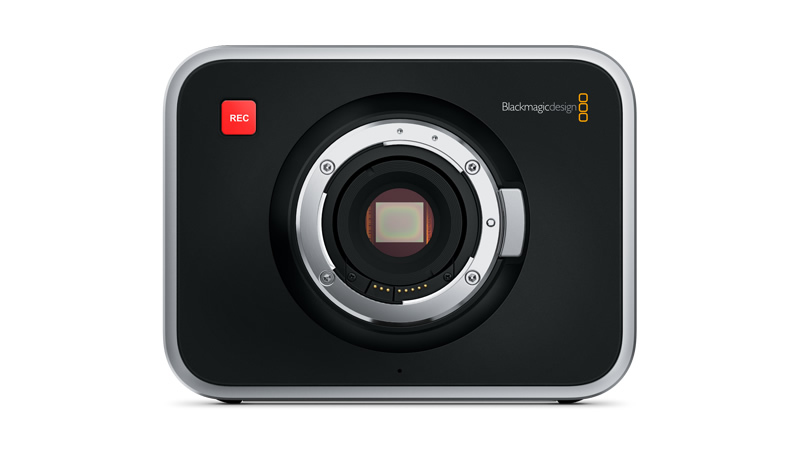 Blackmagic expects to start shipping in about three to four weeks once the final software work and testing is completed. On screen menus to both HyperDeck Studio models, where users can set formats and other features. New ethernet remote control support. This allows you to connect HyperDeck to a network, set the IP address of the HyperDeck in the menu and then Telnet into the HyperDeck to get control. If you type play, the HyperDeck will play and if you type stop, then HyperDeck will stop. You can get clip lists and all kinds of control functions. Additional details can be found in the instruction manual. This update is free of charge and on the website now. This update is available for download from the website. adds improved Cinema DNG file format support. improved support for Avid Media Composer for the UltraStudio Mini Recorder and DeckLink Mini Recorder models. This new software update is available now for download from the website.